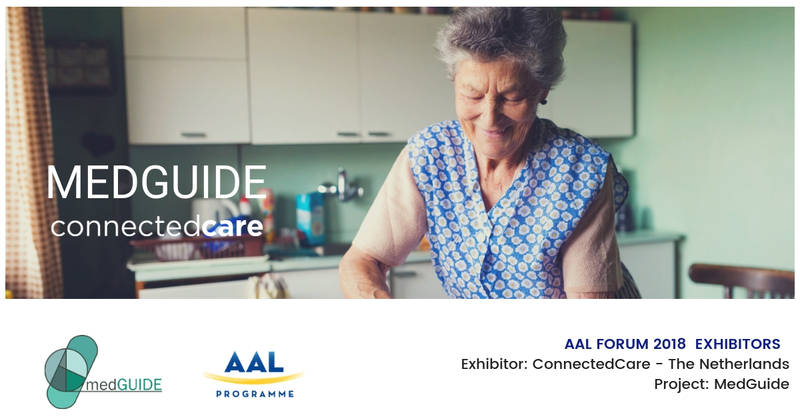 From the team at ConnectedCare, they will be bringing delegates of the AAL Forum the MedGUIDE prototype. This AAL project is a new approach towards improving how people with dementia take their medication and how professionals properly asses their symptoms and update their medication. MedGUIDE also looks to use smart pill boxes and actively involve informal caregivers through social networking techniques and by using IoT devices to improve this medication adherence. Some of the features of MedGUIDE include: archive and proactively detect drug-related problems; distinguish what are dementia symptoms and what aren’t; “addresses” noncompliance; medication can be administered more personally, based on individuals’ data. ConnectedCare is a Dutch eHealth design agency, designing products and services that range from care collaboration to social robotics. With experience in AAL and H2020 projects, and with a team of designers and developers in design research and in academics, ConnectedCare successfully brings innovations to market.